Get the most from your generator with the DEK 240 Volt Twist Lock Adapter. This adapter converts a single 240 Volt twist lock into six 120 Volt outlets. Lighted ends indicate when power is on. Universal 3 ft. 10/4, 240V Generator Twist-Lock Adapter Get the most from your generator with the DEK 240 Volt Twist Lock Adapter. This adapter converts a single 240 Volt twist lock into six 120 Volt outlets. Lighted ends indicate when power is on. 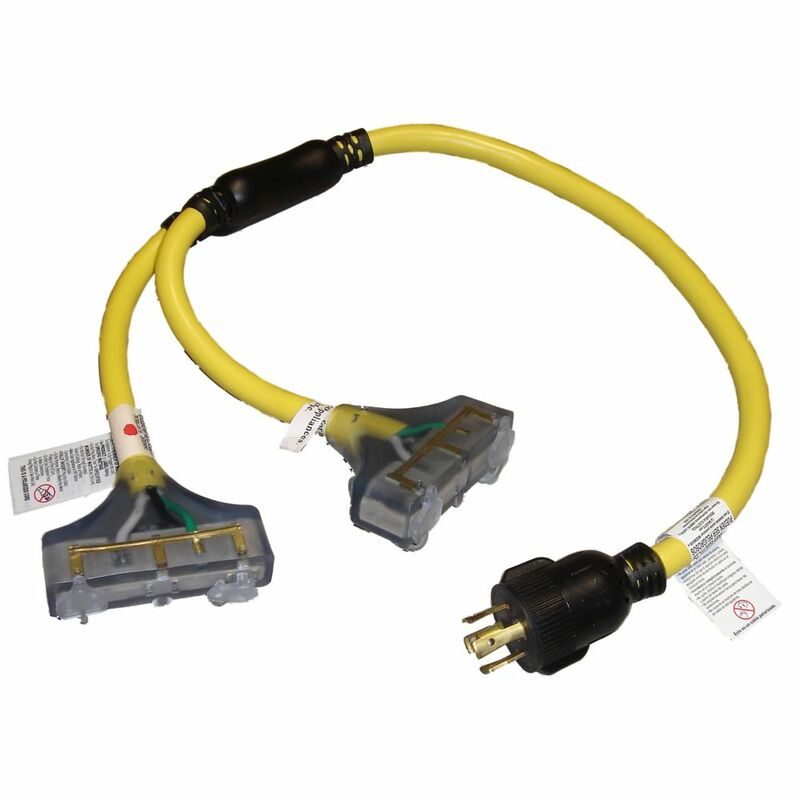 Universal 3 ft. 10/4, 240V Generator Twist-Lock Adapter is rated 4.8 out of 5 by 12. Rated 5 out of 5 by HomeDepotCustomer from Excellent stuff! ... Excellent stuff! Rated 4 out of 5 by Tater from Product works well as seller described. Product works well as seller described. Rated 5 out of 5 by dfg from Nice setup Very handy tool and well built, most useful on remote job site. Rated 5 out of 5 by Snorky from Good generator accessory to have This is something great to have with a generator, especially if you need multiple outlets. During a power failure recently, I was able to keep the basics in my home powered. A must for all generator owners. Rated 5 out of 5 by amethos from easy to use this is perfect if you don't have the money to buy and install a manual transfer switch. Rated 4 out of 5 by tkme from Product to short This product is good but should be 10 to 20 feet longer. Rated 5 out of 5 by Ozboy from This product is very usable with multiple heads I like this product because of the multiple heads to plug into.